BenchWEC project: Development and implementation of control strategies for physical experiments of a hinge-barge wave energy converter. Dr. LiGuo Wang also performs geometric optimization for this wave energy converter. Dr. LiGuo Wang received a Doctor degree in September 2017 from Department of Engineering Sciences, Uppsala University, a M.S. degree in July 2013 from University of Chinese Academy of Sciences, and a B.S degree from School of Machinery and Automobile Engineering, Hefei University of Technology, China. He was a joint/exchange student at the Department of Thermal Science and Energy Engineering in University of Science and Technology of China (2010-2011), at the Department of Electric Power Engineering in Norwegian University of Science and Technology (2016), and at the Institute for Energy System in University of Edinburgh (UK, 2016-2017). 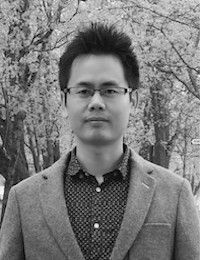 Dr. LiGuo Wang was a researcher at Uppsala University from September 2017 to January 2018, then becomes a Postdoctoral Researcher at COER, National University of Ireland Maynooth from February 2018. Dr. LiGuo Wang has eight years of research experience on Ocean Renewable Energy, with specialization in Ocean Wave Energy Conversion. His Research covers key areas relevant to wave energy converters, e.g. fluid-structure interaction, power take-off systems, energy storage, and control strategies.